The International Court of Justice on Thursday ordered Pakistan not to execute an Indian naval officer convicted of espionage and terrorism, a case that has further strained relations between the Asian neighbors. The officer, Kulbhushan Jadhav, was convicted in Pakistan and sentenced to death on April 10. 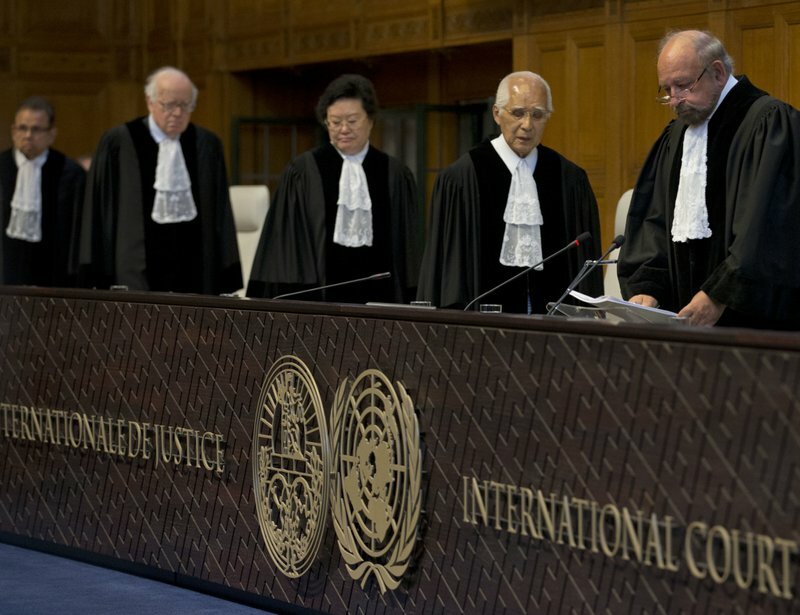 The U.N. court ruled unanimously that Pakistan shouldn’t put Jadhav to death until India’s allegation that Pakistan breached his right to consular assistance is legally resolved. 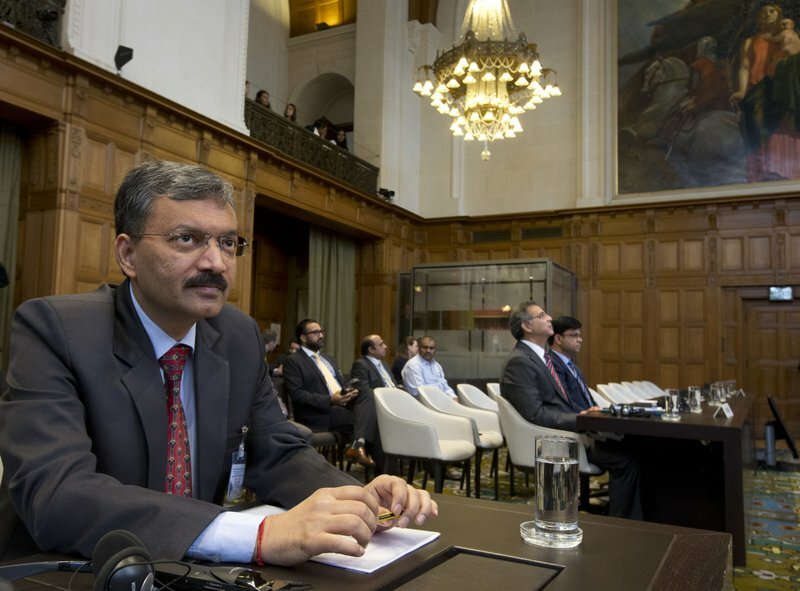 “Pakistan shall take all measures at its disposal to ensure that Mr. Jadhav is not executed,” court President Ronny Abraham said at a hearing in the ornate Great Hall of Justice in The Hague. “I personally was very relieved and I’m sure every Indian is relieved to hear this order,” Indian Ministry of External Affairs spokesman Gopal Baglay said. Jadhav’s friends and family in the city of Mumbai celebrated the decision by setting off firecrackers and distributing candy. Pakistan and India have a history of bitter relations, and Jadhav’s death sentence has further strained ties. 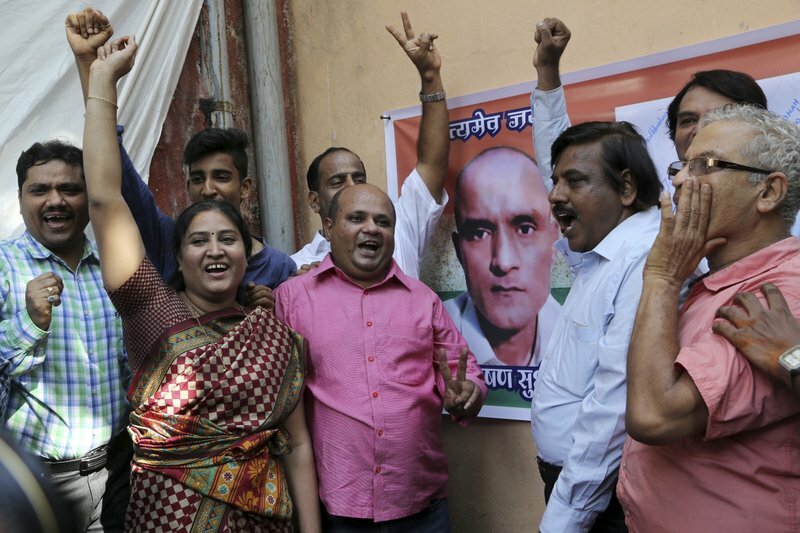 In court on Monday, India called Jadhav’s trial a “serious miscarriage of justice” because he wasn’t allowed to see Indian diplomats or choose his own defense lawyer. Indian lawyers argued that the restrictions amounted to a breach of the 1963 Vienna Convention on Consular Relations. Pakistan argued that Jadhav’s rights weren’t breached and that the court didn’t need to issue an urgent order to stay his execution because it wasn’t imminent. A lawyer for Pakistan added that a bilateral agreement allows either country to decide on consular access in cases involving “political or security” issues. Pakistani representative Mohammad Faisal on Monday showed judges a copy of an Indian passport he said Jadhav was carrying at the time of his detention. It bore the name Hussein Mubarak Patel, which was an “obvious indication of covert and illegal activity,” Faisal said. The case will take months or years to settle at the United Nations’ highest judicial organ, so judges issued Thursday’s order to ensure that Jadhav isn’t executed before the case ends. “I assure the nation that under the leadership of Prime Minister (Narendra) Modi we will leave no stone unturned” to save Jadhav, India’s External Affairs Minister Sushma Swaraj tweeted. Rulings by the court are final and binding on the countries involved.